Register for our compliance webinar, “Building a Culture of Accountability” today. Our webinar is hosted by Hallie DeCapp and Kanda Wurm of Harbor Light Hospice. 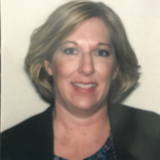 Hallie S. DeCapp serves as the Vice President of Compliance/Compliance Officer at Harbor Light Hospice and has twenty-one years of experience in healthcare management. For the past ten years she has worked specifically in hospice management. Previously, she held the positions of Patient Care Manager, Executive Director and Vice President of Operations. Ms. DeCapp is certified in healthcare compliance, and currently has been selected to sit on the National Hospice and Palliative Care Organization’s Regulatory Committee for her second term. Prior to coming to Harbor Light Hospice, Ms. DeCapp worked extensively in long term care. She earned a bachelor’s degree in nursing from Chamberlain College of Nursing. 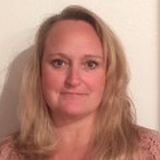 Kanda S. Wurm serves as the Clinical Standards Manager/Privacy Officer at Harbor Light Hospice and has twenty-nine years of experience in nursing and management. Ms. Wurm has over seven years of hospice experience, with the last five years working for Harbor Light Hospice. Previously, she worked as a Case Manager, Patient Care Manager and Executive Director. Ms. Wurm holds a Certification in Healthcare Privacy Compliance which was obtained through Healthcare Compliance Association (HCCA) and sits on the Quality and Standards Committee for the National Hospice and Palliative Care Organization. She earned her Bachelor’s degree in nursing from Chamberlain College of Nursing and is currently pursuing her Master’s degree in nursing education.